Who needs a separate TV when you can set up the Windows 7 Media Center to view live TV right on your computer’s lovely flat-panel display? You can watch downloaded Internet programs or stream snippets from recorded TV shows on the Web as well as live TV that’s being transmitted by any of the seemingly millions of TV stations. 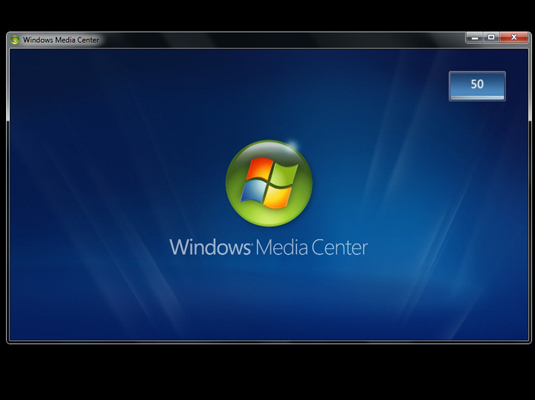 To be able to watch live TV in the Windows Media Center, your computer has to be equipped with a TV tuner card and hooked up either to your local cable system or to a satellite TV dish. 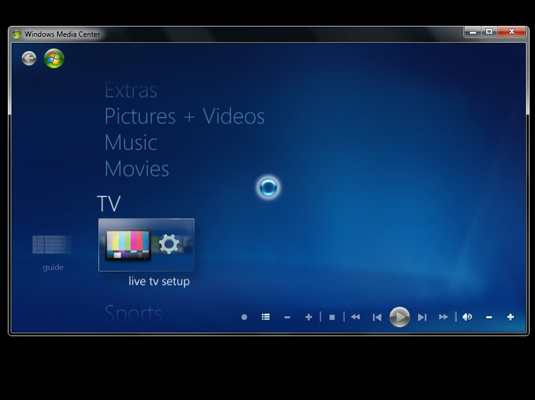 But before you can watch live TV in Windows’s Media Center, you need to set up Windows Media Center itself for live TV viewing. You can also press the green button on the Media Center remote control. Highlight TV on the Media Center main menu and then click the Live TV Setup. Follow the prompts to find your TV tuner card and select your TV provider. If you want, you can also subscribe and have the Windows Media Center download the Media Guide for your local area and TV provider. Keep in mind that you can connect your Windows 7 Media Center computer directly to your home entertainment center by purchasing the Media Center Extender. You can connect your computer directly to your Xbox 360 by purchasing the Media Center Extender for Xbox.